In an extended analogy to Ernest Hemingway’s The Old Man and the Sea, Kurt Vonnegut identifies Timequake, his fourteenth and final novel, as a “stew.” Vonnegut “fillets the fish” of a failed novel (which he compares to Santiago’s destroyed marlin in Hemingway’s novella) with ostensible “thoughts and experiences” from his life. The novel as a “stew” resonates with Vonnegut’s “telegraphic schizophrenic” literary mode, which, in its fragmentation, sharpens a critical edge and cultivates redemptive narratives. The resulting gallimaufry is Vonnegut’s final attempt to deconstruct the novel as aesthetic and literary form, and simultaneously reconstruct the human and inaugurate new histories. In response to these desperate theatrics of an inhuman history, Vonnegut attempts to sow redemption. Vonnegut rejects the nihilism of Macbeth, who claims, in another meta-theatrical mediation, that life is “a tale / told by an idiot, full of sound and fury / signifying nothing.” Vonnegut refuses these resignations to tedious and meaninglessness performance. Vonnegut instead re-ignites the flame of being, illuminating an undiscovered history and redeemed humanity. If the eternal return posits the death of narrative, and postmodernism its irrevocable fragmentation, Vonnegut invests his humanism in the redemptive power of narrative and literature in re-imagining the self and the world. Imagination and art, he claims in Timequake, are essential for the cultivation of meaning. The absurdity and alienation engendered through the timequake satirizes the cultural logic of late capitalism. Vonnegut repeatedly critiques the pervasive loneliness and banality of American culture and society. The victims of the timequake, aimlessly wandering through the wastelands of the profane present, represent the alienated victims of late capitalism itself. Much of Timequake contains Vonnegut’s irreverent critiques of a commodified and corporatized American culture, rendered homogeneous and rootless through the inhuman machinations of late capitalism — the true subject of Trout’s timequake is Vonnegut’s American present. Neither context preserves imagination; neither phenomenon cultivates the self. Trout’s timequake forces an eternal return. 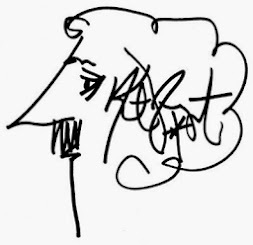 Vonnegut’s concern is that fractured communities and culture industry of contemporary America will enforce an eternal present, with the human resigned to alienation, apathy, and absurdity. 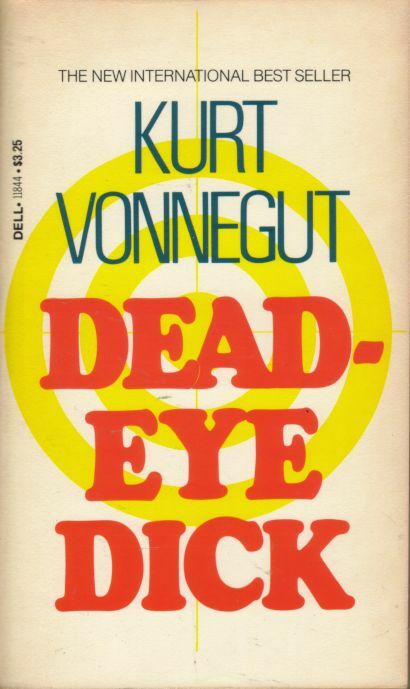 The human, Trout suggests, “feels like something the cat drug in.” Vonnegut employs the absurd science-fiction of a timequake to distill his satire of contemporary America. Selves, suggest Vonnegut, sacrifice agency and imagination for the anesthetizing pleasures of political complacency and the culture industry. The nihilism of the timequake parallels the nihilism Vonnegut reads in contemporary culture. Through the fantastic mechanics of a timequake, Vonnegut presents a tragic reduction of the human to an absurd automaton and a tedious Sisyphus. As Vonnegut laments in Breakfast of Champions, “I cannot live without a culture anymore.” His heartbroken paeans repeat throughout Timequake, but Vonnegut is less hopeful for transformation. Instead, Vonnegut imagines himself beating against a cultural current of fragmentation and complacency, a lone voice in the darkness of despair. “If I hadn’t learned how to live without a culture and a society,” he suggests in Timequake, “acculturation would have broken my heart a thousand times.” Timequake, and the redeemed humanity it dares to imagine, presents both the broken-heartedness of wasteland of the contemporary, but also an earnest attempt to weave a new culture and new society out of the ruins. 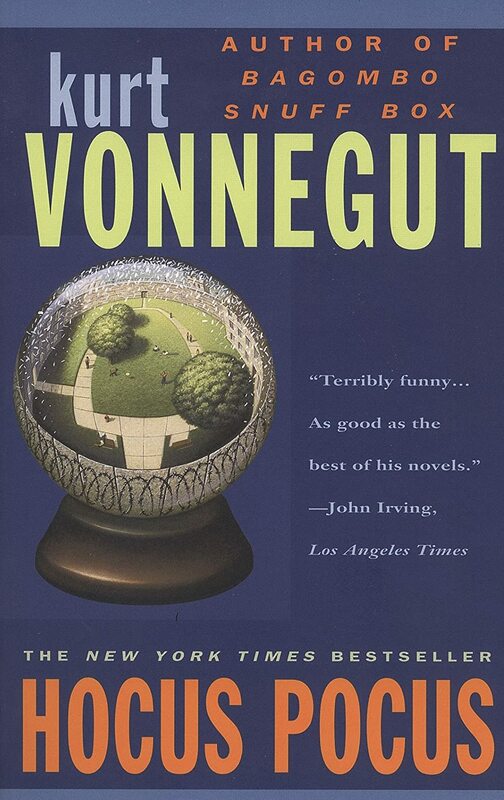 Vonnegut’s timequake lasts for ten years, after which the wills of its victims are suddenly restored. Vonnegut’s paradoxical humanism rests upon this two-fold movement — a deconstruction before a reconstruction. But when the timequake ends in 2001, at the dawn of a new millennium, Vonnegut’s automata are crippled by malaise and a deep ennui. Termed “Post-Timequake Apathy,” the subjects of Timequake struggle to regain deliberate control over themselves. After a decade of tragic resignation to fate, Vonnegut’s fictional humans lack selves and lack will. This sudden restoration of will results in disasters spreading throughout New York City — planes fall to earth, vehicles collide, fires consume flesh and scorch stone. Only Kilgore Trout — who appears in Timequake as an absurd messiah adorned in a babushka with a teddy bear print — is able to awaken from the timequake and restore himself. And he begins to rebuild the world. Trout, awake in a burning city, heals through incanting “Kilgore’s Creed” — “You were sick, but now you’re well, and there’s work to do.” Trout’s transformative vision spreads to a growing community of disciples who resurrect the apathetic automata of American complacency. Vonnegut explicitly frames Trout as a Christ figure attempting to build the Kingdom of God on Earth. Trout’s jostling complacent humans into a new consciousness mirrors Vonnegut’s own literary ambitions, as he hopes to impel the reader into a new relationship with the self and the world. Kilgore’s Creed, Vonnegut suggests, could inaugurate a new human history of justice and prosperity (which Vonnegut mourns as forgotten political ideals). Vonnegut’s invitation to heal the self, the community, and the planet underscores the moral obligation to do so. Reformulating the nightmare of history as a disease, from which humanity can recover, presents a messianic arc of history through the awakening of a sublime humanism. Humanity must realize itself as a healer and redeemer in order to inaugurate a sacred counter-history, a new history that has yet to be realized or written. And a writer of fiction shall lead them. Though the timequake had silenced the interior self, Trout (and Vonnegut) attempts to cultivate the transformative and creative potential of imagination. 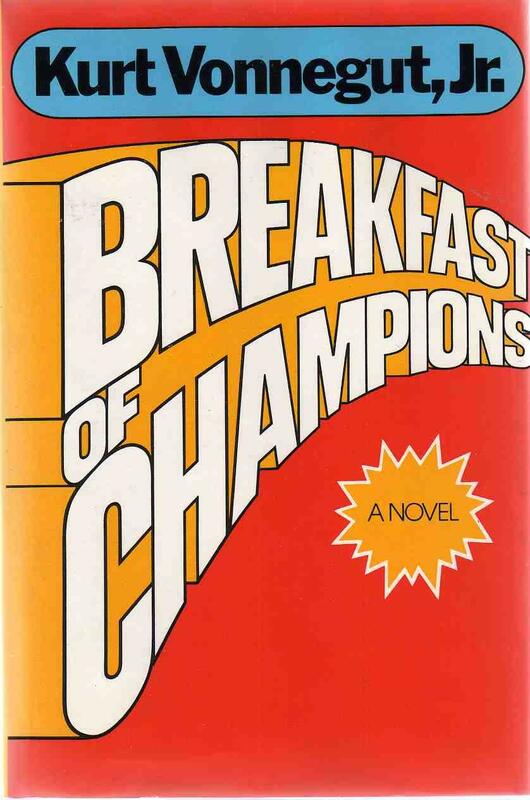 In another passage that echoes Breakfast of Champions (Timequake often recalls Vonnegut’s 1973 gem), Trout expounds on the radical presence of “awareness,” which he unequivocally renames “soul.” The timequake, in both the crude determinism it represents and the cultural complacency it suggests, is a factor of “only energy and matter and time.” Trout presents the “soul,” then, as “something very new and beautiful,” a presence which escapes the reductivism of the contemporary and which can re-create the world. The inauguration of new histories depends on this capacity to imagine. Against the profanity of a diseased and fallen world, ruptured through poverty, oppression, and war, Vonnegut posits the transcendent soul as a sacred redeemer. Vonnegut “fillets the fish” of a fallen humanity in order to resurrect it as something “very new and beautiful.” And this soul, Vonnegut suggests, must be nourished through imaginative literature. A central component of the inauguration of counter-histories is the weaving of new narratives to sustain them. Literature, Vonnegut suggests, must realize itself as a counter-hegemonic current of redemption in order to redeem the human. Anesthetizing pleasures, such as television, recapitulates the banality of capitalism into the consciousness of its viewers. Aesthetic pleasures, such as literature, instead cultivate the interiority of the human as a counter-hegemonic and redeeming force. If imagination and awareness is the most intrinsic component of the human, aesthetics can endeavor to re-imagine the human and the world. The counter-hegemonic potential of literature exists in its cultivation of new narratives and new consciousnesses. Through his fictional narratives, Vonnegut weaves eschatologies and ontologies of freedom. Literature must realize itself as a transgressive and subversive force of imagination. Vonnegut has always battled political conservatism and censorship, as his transformative vision for the American self and society offer radical revisions of the status quo. Vonnegut is an author continually banned in schools, and he critiques this unimaginative and reactionary posture in Timequake. “In the slavering search for subversive literature on the shelves of our public schools...the two most subversive tales of all remain untouched, wholly unsuspected,” he writes with passion. “One is the story of Robin Hood... And another as disrespectful of established authority as the story of Robin Hood...is the life of Jesus Christ as described in the New Testament.” Vonnegut celebrates the historical and counter-hegemonic Christ in Timequake, and the radically transformative dream of the Gospels inspire Vonnegut’s own fictions. 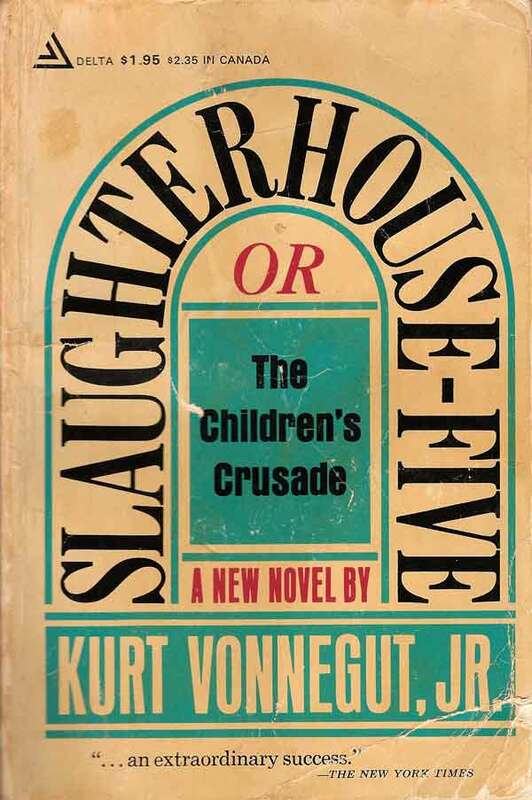 Vonnegut’s messianic narratives are potent enough to blast out of Benjamin’s continuum of “homogenous and empty time” and inaugurate a new history and a new humanity. History is first absurd, but also offers, again to quote Benjamin, “gates through which the Messiah might enter.” And Vonnegut’s telegraphic schizophrenic literary mode, replete with fissures and cracks, offers innumerable messianic gates. Timequake’s narrative fragmentation reflects Vonnegut’s hermeneutics of suspicion — his weary skepticism toward the accepted and anesthetizing narratives of contemporary quietism, toward tired myths of progress or false myths of prosperity, toward the voracity of consumerism, toward the banality of American culture and consciousness. Vonnegut marries his postmodern critique with a transcendent humanism, and his suspicion gives way to sacrality. Vonnegut deconstructs the world in order to construct the human anew. Timequake is both anti-novel and self-conscious memoir — Vonnegut stitches meditative scraps and aborted stories into a bizarre collage redolent of the contemporary American consciousness and culture. Only through these fragments is it possible to present a truly critical vision of unrealized future, which, as Marx suggests through Hegel, can only be imagined as a “negation of a negation.” Vonnegut’s shattered fictions represent a shattered world, and, more importantly, suggests that the world can again be made whole through imaginative and ontological engagement. In this way, Vonnegut’s “telegraphic schizophrenic” literary mode is actually a mysticism of sorts, yearning for unity after fracture, for redemption after the fall. Through Trout, Vonnegut articulates a defense of his "telegraphic schizophrenic" literary mode as a grounds for transformation. Trout rejects the assumption that an artist must act as a mirror, and that literary realism is the most sophisticated form of literature. The only "character" Trout has created, he argues, is his living son. "If I'd wasted my time creating characters, I would have never gotten around to calling attention to things that really matter: irresistible forces in nature, and cruel inventions, and cockamamie ideals and governments and economies that make heroes and heroines alike feel like something the cat drug in." Literature, Vonnegut argues, must realize itself as a subversive force, deconstructing systems of oppression. The highest ideal of literature is for the reader to "realize life" and achieve a higher consciousness. Literature not only makes people appreciate being alive, as Vonnegut writes, but also helps explain what that means. "Do human beings ever realize life while they live it? — every, every minute?" The deliberation and true realization of humanity is both the process and ideal of literature. And Vonnegut's fragmented narratives serve to defamiliarize the world, in a Brechtian sense, in order to jostle readers into a higher consciousness. Aesthetics can heal the wounds of the alienated soul and help the world be pieced together again. Timequake, however, attests to Vonnegut’s recurring anxiety that even literature, to quote Eliot Rosewater in Slaughterhouse-Five, “isn’t enough anymore,” that imaginative literature is too abstract for the very real wounds of the world, that literature is too transgressive, difficult, or strange to garner sufficient attention, that literature has lost its place in an increasingly banal culture and consciousness. Yet despite this narrative frustration, the transcendent humanism that sustains Vonnegut’s literary voice beckons — “You were sick, but now you’re well, and there’s work to do.” Literature may be the most potent weapon in the struggle against absurdity. Vonnegut imagines redemption yet in the undiscovered futures of the fallen human.